. 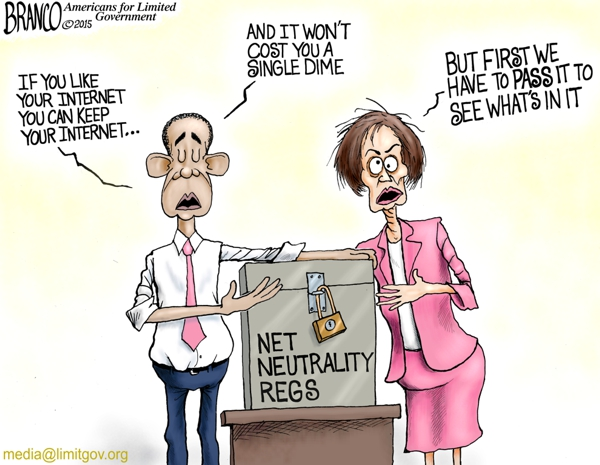 . . Net neutrality regulations will do for the internet what Obama has done to healthcare. Fears that once the government is involved it won’t be so free. There will be a limiting of free speech and limiting the ability ordinary Americans to oppose Big Government agenda and express their positions on the Internet regardless of where they are on the political spectrum. Tags: Editorial Cartoon, AF Branco, FCC, Net Nuetrality, Regulations, Internet takeover, Big Government, trampling the 1st Amendment, To share or post to your site, click on "Post Link". Please mention / link to the ARRA News Service. and "Like" Facebook Page - Thanks! 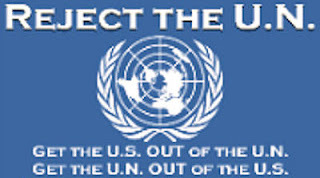 An un-elected and unaccountable agency can vote themselves the power to have total control over the internet. Un Uh no friggin' way. If CONgress does not put a stop to this over reach or your member of CONgress is not responsive to your valid concerns about this and does something it's time to camp out in their offices until they do. Let the backlash begin. Those un-elected tyrants did the bidding of the President of the American Taliban, BHO.